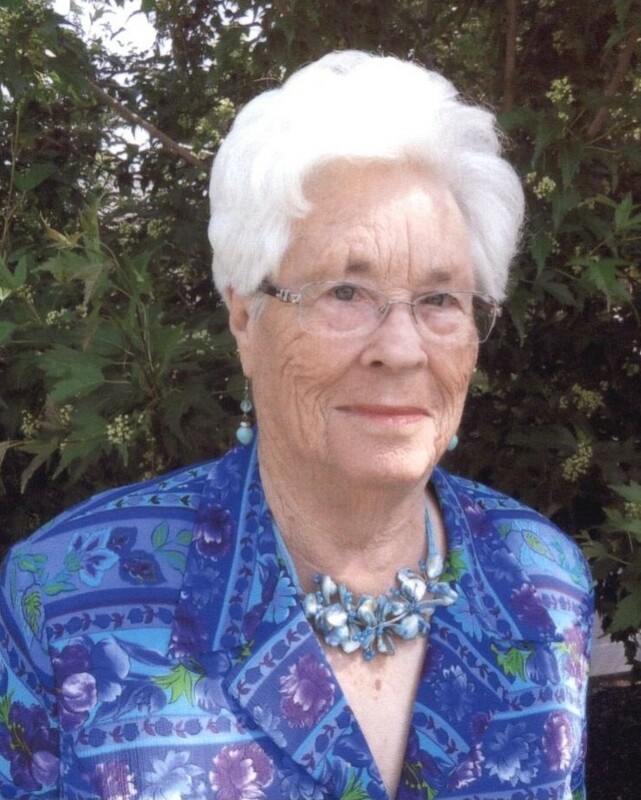 Virginia Taylor passed away peacefully at Springcreek Assisted Living on January 28, 2019, at the age of 95. Virginia was born to Scott and Helen Estill, on April 25, 1923, in King City, Missouri, and raised on the family farm with brother Lester. After high school, Virginia worked at the local bank where she met and married Richard G. Timmons. Together they had two children, Phil and JoAnn, and for 7-years worked hard on the farm raising hundreds of chickens. She and Richard moved to Star, Idaho in 1951, where they owned and operated the Timmons Drive-In Grocery and eventually moved to Boise in 1962. Virginia and Richard later divorced and in 1973 she married Robert W. Taylor. Together they traveled the world and made many friends and memories, as well as enjoyed their time with combined families. She was a member of a secretarial organization for 50 years and was given the name of “Mother T.” Virginia was never idle and enjoyed scrapbooking, traveling, dancing, collecting glassware, and spending time with loved ones. Throughout the years, Virginia remained true to her Missouri family and friends and traveled to visit them often. She believed in God’s promise of a heavenly home. A special thank you to all of her faithful and loving friends. Surviving is son Phil Timmons, daughter JoAnn Queen (Robert), granddaughter Jennifer Street (Jeff), grandson Robin Queen (Cambria), grandson Josh Wilson Grant, and granddaughter Valerie McMurray. Along with two nieces, six great-grandchildren and one great-great granddaughter. Her family wishes to acknowledge the care and kindness she received from staff and caregivers at Springcreek Assisted Living. In lieu of flowers Virginia would wish for you to go on a long car ride and eat ice cream with a friend. There will be a viewing on February 2, 2019 at 12:00 followed by a funeral service at 1:00. Cloverdale Funeral Home, 1200 N Cloverdale Rd. in Boise, Idaho.